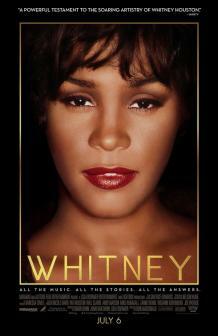 “In the new documentary Whitney, famed singer Whitney Houston’s inner circle – including her mother, the singer Cissy Houston, and her ex-husband Bobby Brown – retrace years of woeful steps that, even in hindsight, offer little comfort or closure, but perhaps some explanation. “The film is a sad calamity of conflicting narratives as those closest to Houston work through varying stages of honesty and denial. One of Houston’s aunts becomes defensive when asked whether anything in Houston’s childhood may have burdened the singer with traumatic memories. Others, such as Houston’s long-time personal assistant, Mary Jones, share that Houston said she’d been sexually abused by her late cousin, Dee Dee Warwick, when Houston was a child and Warwick was in her late 20s. “Ultimately what Whitney adds to the arduous process of reaching conclusion in a horrible situation is dependent upon the beholder. If one seeks a voyeuristic gaze at tragedy unfolding from a safe distance, the components are there.